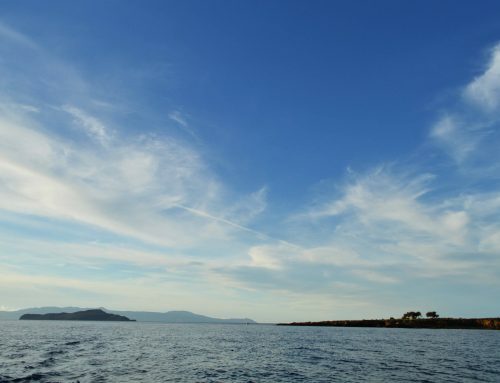 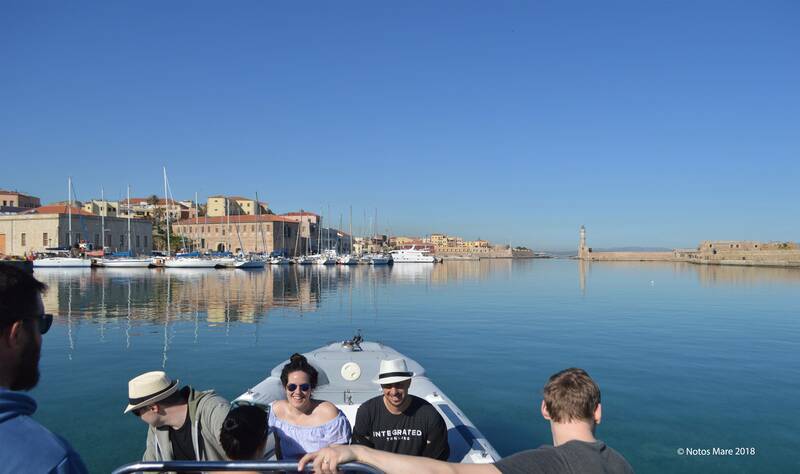 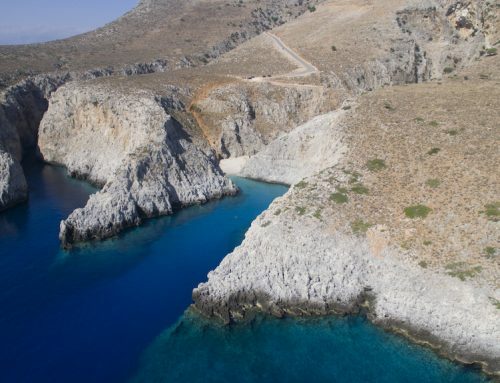 Jump on board and discover the beauties of the coastline close to Chania! 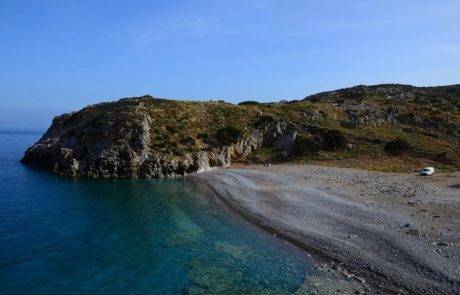 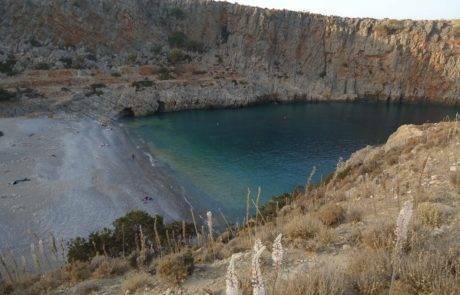 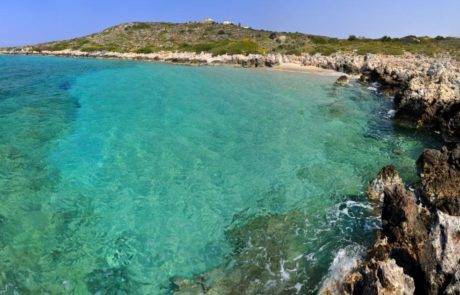 Our first stop, the hidden cove of Menies, is located at the northeastern tip of the Rodopou peninsula and was the port of the ancient site of Diktynna, that was the most important temple of the goddess Vritomartis, which is believed to be goddess Artemis. 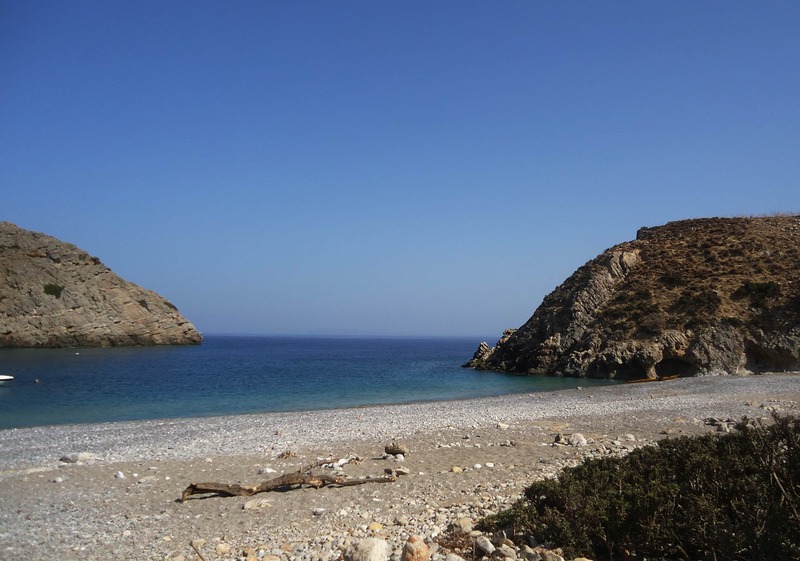 After a refreshing swim on the pebbly beach, we make our way back along the coast towards Chania. 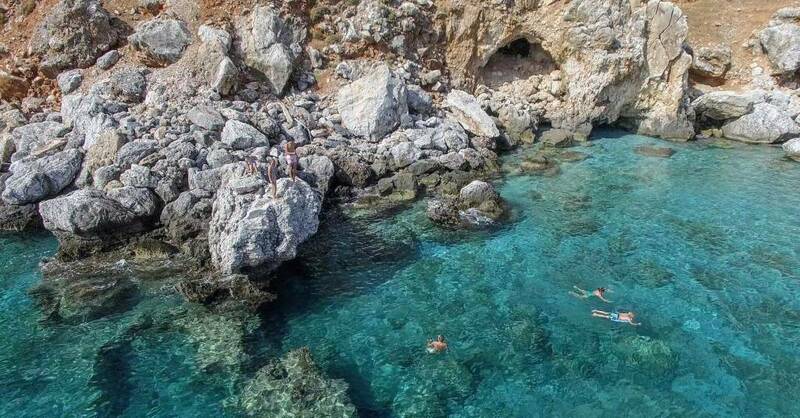 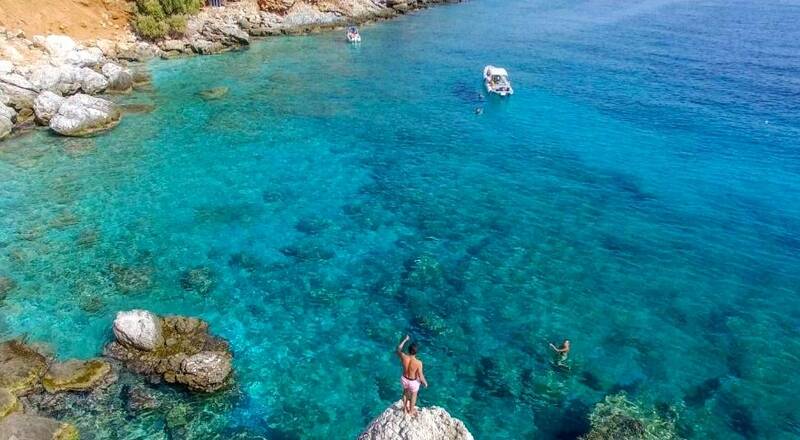 Our next stops are along the shores of the islands of Thodorou and Lazaretta, taking a swim in the deep clear blue waters. 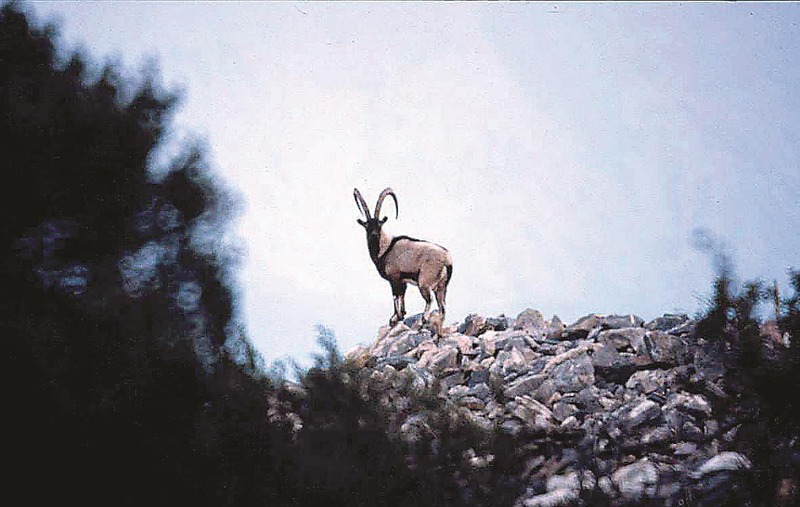 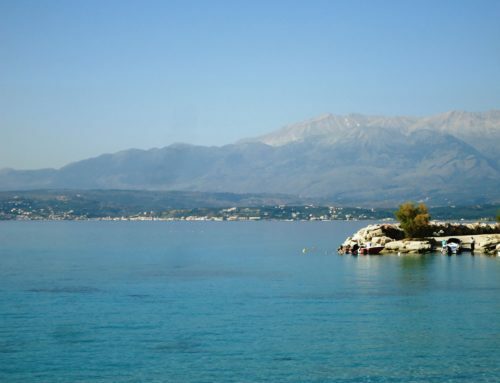 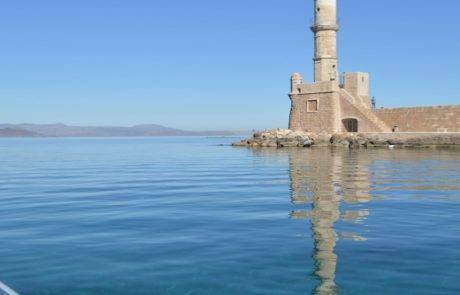 Thodorou island, is a protected haven for the endangered wild Cretan goat “agrími” (or easier, “kri-kri”). 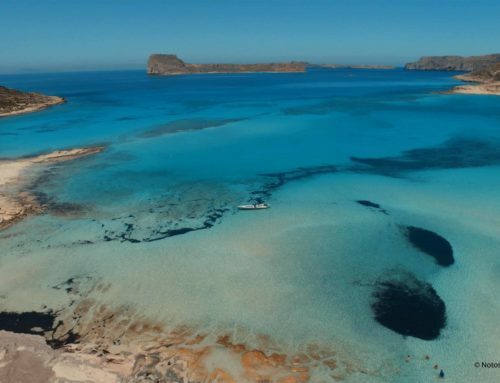 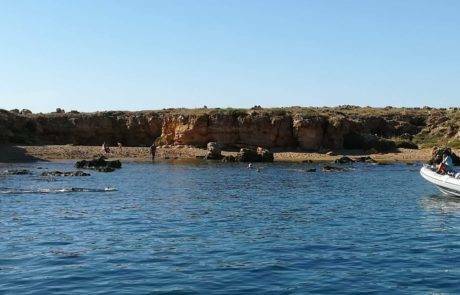 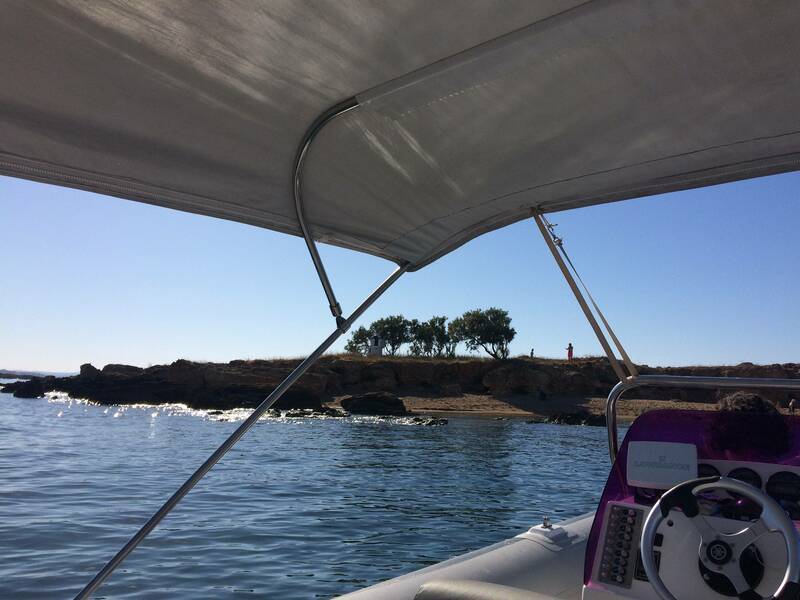 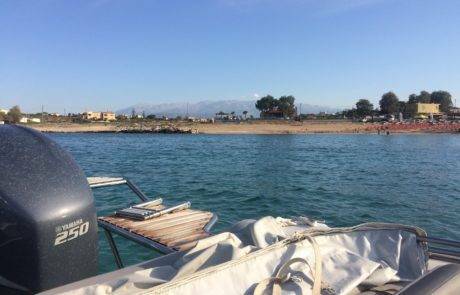 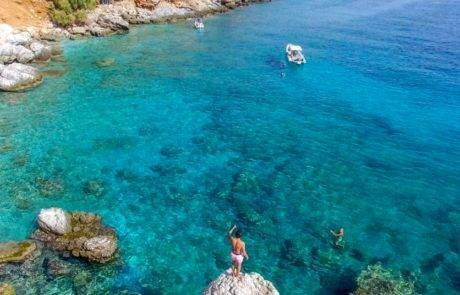 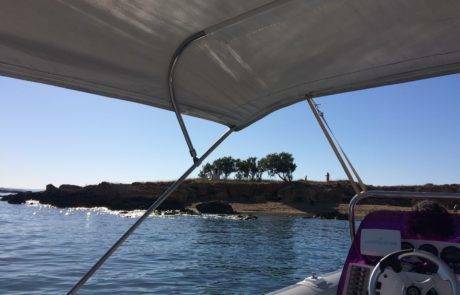 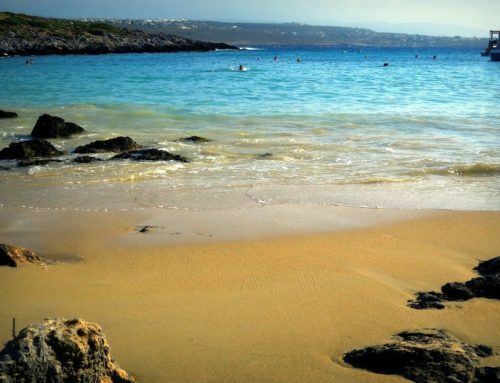 The island is uninhabited and is also a Natura 2000 protected area, while Lazaretta offers us great opportunities for snorkeling in its many rock-pools close to the small, sandy beaches. 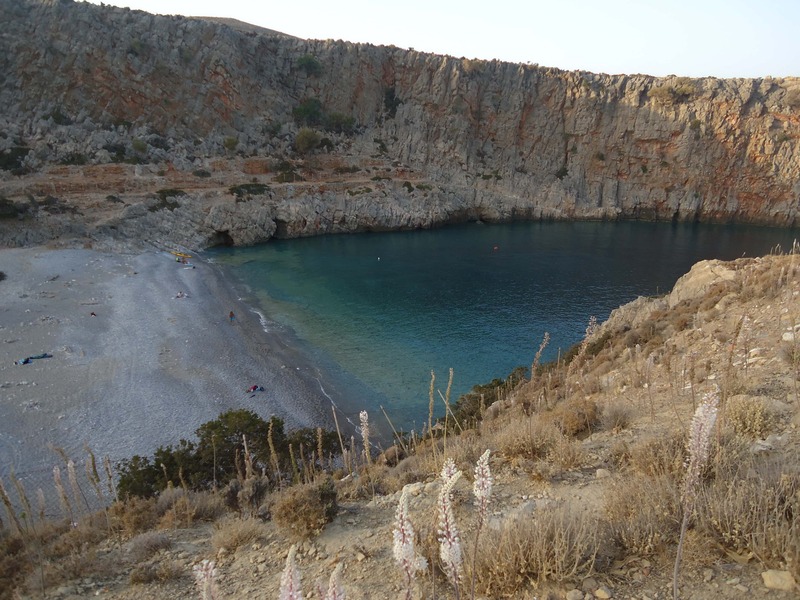 Our last stop is the small, secluded, sandy beach of Macherida, on the Akrotiri peninsula. 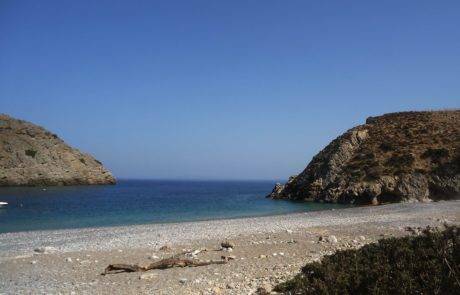 The beach is named after the wild gladioli (gladiolus italicus) that grow in the fields behind the beach during the spring. 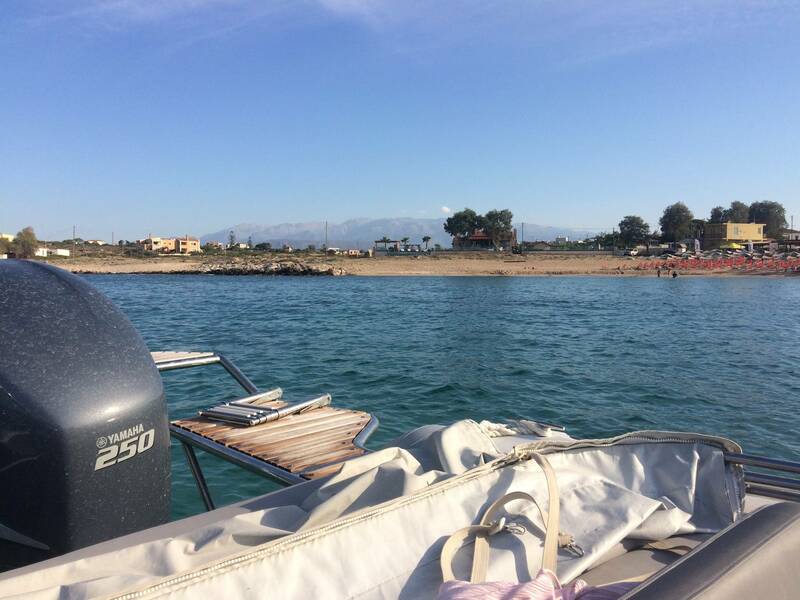 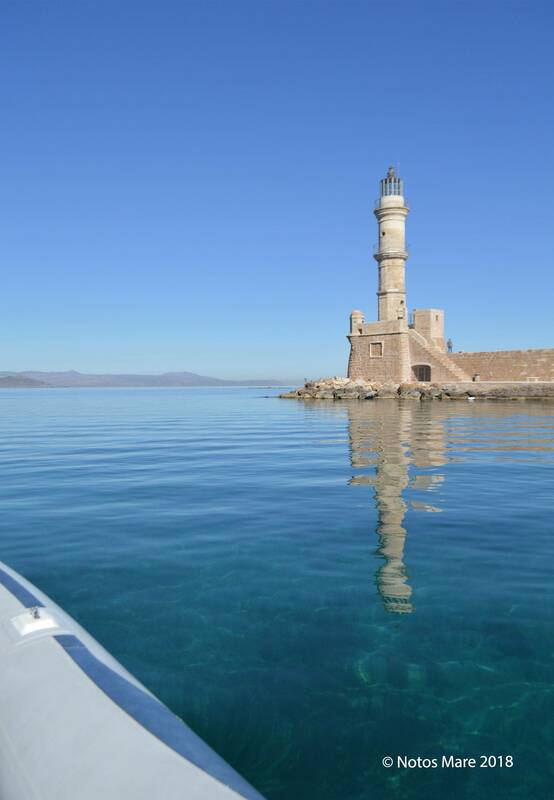 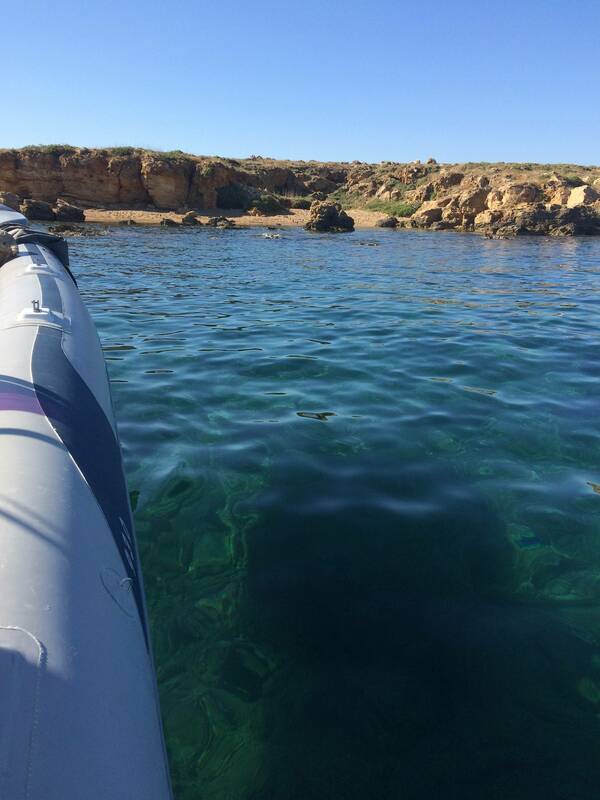 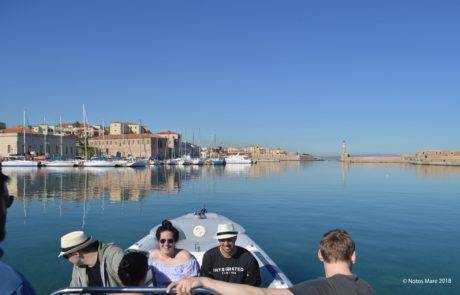 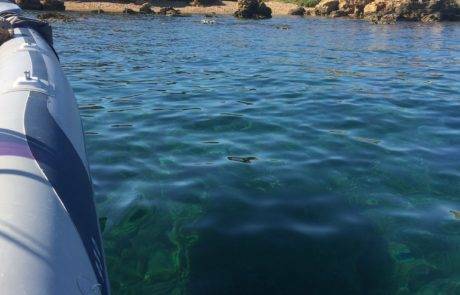 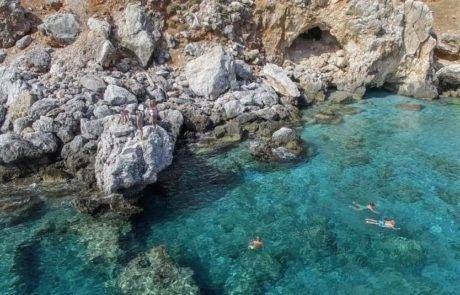 On our way back to Chania harbour it´s difficult to decide which swim was the most refreshing!